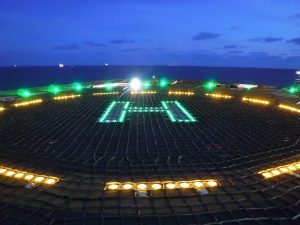 Increased safety around helidecks on offshore platforms has resulted in Great Yarmouth company Flameskill landing some lucrative contracts. Under new CAA regulations all helidecks must have Circle H lighting and fire systems that meet the new standards or flight restrictions are placed on their use. Flameskill has taken advantage of these by supplying new and upgraded firefighting systems as well as Circle H lighting systems as a package, for several UK operators. Contracts to upgrade six platforms have already been secured, with further contracts in the pipeline as all offshore helidecks are required to comply with the new rules. 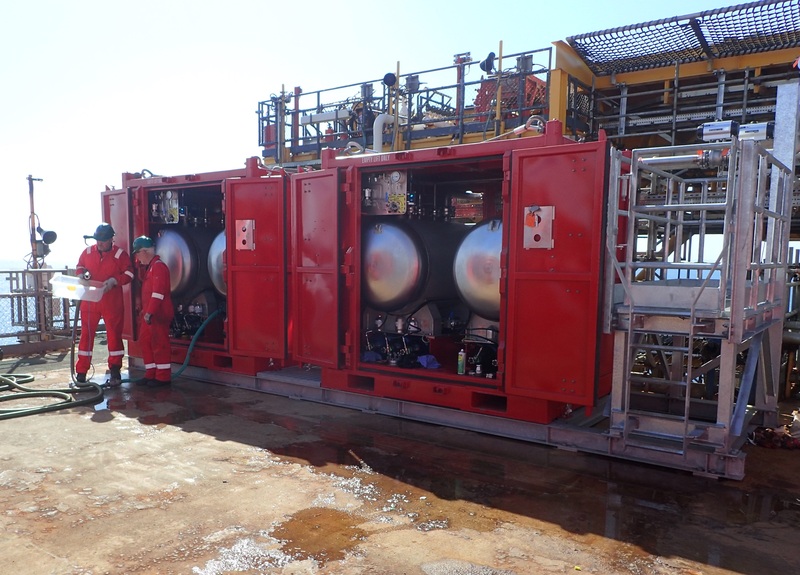 Flameskill director Jim Green, said: “We were asked by a Southern North Sea operator about upgrading its firefighting systems to comply with the new CAP 437 regulations. During these conversations we picked up that they were also looking to upgrade their lighting systems. Much of Flameskill’s business is offshore, with a large number of Southern North Sea operators receiving fire-fighting equipment from the company. However, since the downturn in the oil and gas sector it has diversified. Over the past three years it has added the supply and hire of lifejackets, immersion suits and other lifesaving equipment to its broadening portfolio, providing a one-stop-shop for offshore and marine safety requirements. In addition to its offshore activities, Flameskill has also recently supplied specialist equipment to Sizewell and worked with both the UK and US Defence Industries.